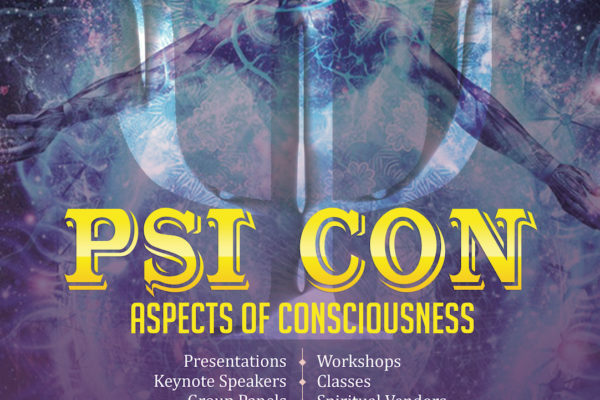 We present the (2019) PSI CON: Aspects of Consciousness, a joint conference of the Academy for Spiritual and Consciousness Studies (ASCSI) and the Spiritual Frontiers Fellowship (SFF). 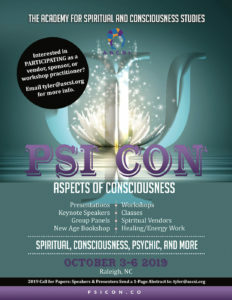 The conference seeks to provide a forum for presentations, workshops and open discussions about the edge of science and spirituality. 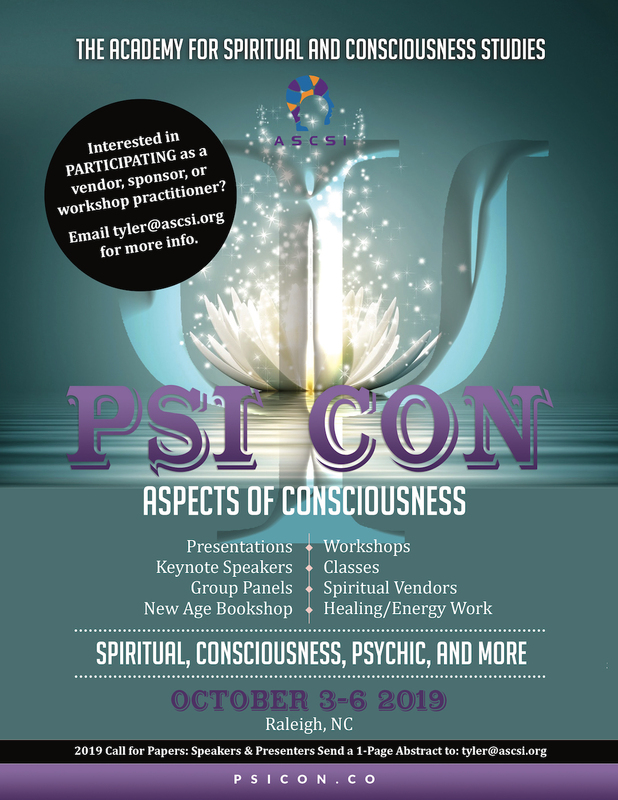 Our aim is to enrich the issues and contribute to the understanding of spirituality and consciousness with an encompass- ing perspective. *Our deadline for submissions is May 1, 2019.